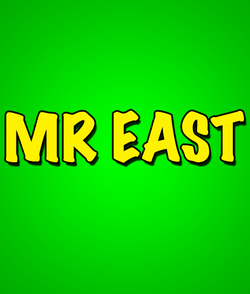 There are not a lot of services with the long term track record displayed by Mr. East. Simply put he is the No. 1 NBA handicapper in the world and I can say that with confidence. The reason isn’t necessarily due to him winning against the point spread, but with his totals. Going all the way back to January of 2009 Mr. East is 625-469 (57%) with his NBA over under plays. That is a very high percentage with over 1100 selections. If you were betting a simple $100 per game you would be up $12,055 in profit during that stretch! $1,000 per game bettors are up over $120,000! It’s no surprise then that East has a couple of No. 1 rankings on our system then is it? He was #1 in 2010-11 with a 164-123 (57.1%) record and in 2008-09 when he went 190-139 (57.8%). There aren’t a lot of guys who have a bigger array of system plays than East does. His analysis doesn’t give a lot of details on what the system is, because he isn’t going to give away his strengths. He doesn’t want the books catching on and moving the lines more than they already do after they see what he has. But, he doesn’t rely solely on systems. He then goes into the details of the matchup, making sure that all indicators are leaning towards the same result. If they don’t, then he passes on the game. Trust us when we say that no one does a better job than East does of picking the true, quality bets out for his clients.